SPECIAL SCREENING OF “KAJAKI. 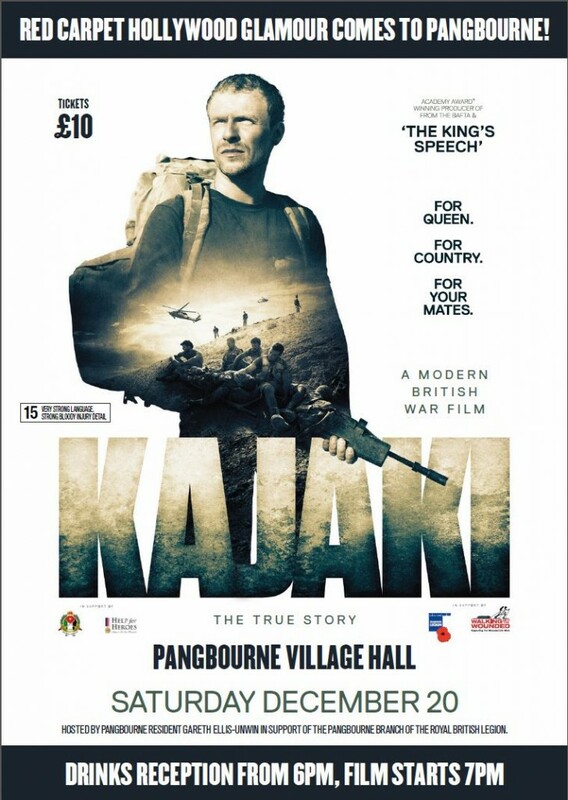 THE TRUE STORY” FOR PANGBOURNE BRITISH LEGION. A small unit of soldiers is dug into a ridge overlooking the Kajaki dam. A three man patrol sets out to disable a Taliban roadblock. In a dried out river bed at the foot of the ridge, one of the patrol detonates a land mine, blowing off his leg and setting into motion a desperate rescue mission. Local resident Gareth Ellis-Unwin (The Kings Speech) will be presenting his latest movie specially for Pangbourne guests with all proceeds flowing to the local chapter of The Royal British Legion. Please Note. The film has been rated 15 , strong language and graphic depiction of war. Projection services provided by Hi-Fi Cinema Ltd. Aldermaston.